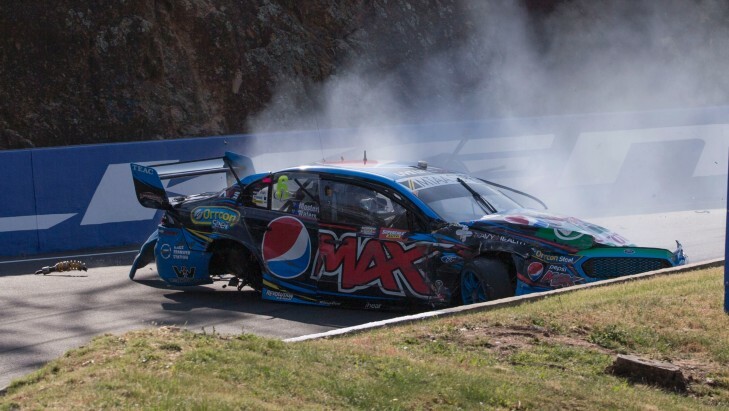 V8 Supercars driver Chaz Mostert has been airlifted to hospital with a fractured left femur and fractured left wrist after a crash during qualifying at the Supercheap Auto Bathurst 1000. Five marshals were also injured in the accident. Four have minor injuries and a fifth has been been taken to hospital and is in a stable condition. V8 Supercars CEO James Warburton said: "Our number one priority is the safety of our drivers and officials. Our thoughts are with Chaz and his family and the marshals who do an incredible job. "I'd like to thank the specialist emergency response teams and medical staff at the circuit." Track activity has been cancelled for the remainder of the day.